View a video of Joe Brown’s testimony. Chairman LoBiondo, Ranking Member Larsen, distinguished members of the Subcommittee: my name is Joe Brown and today I appear before the committee representing three distinct perspectives. First, I am the President of Hartzell Propeller, an Ohio-based company with a proud general aviation heritage. The company’s origins link directly to the Wright brothers and their pioneering work in Dayton, Ohio. Robert Hartzell, following the advice of his friend and neighbor, Orville Wright, founded Hartzell Propeller in 1917 to manufacture walnut propellers for the Army Air Service—what we now call the United States Air Force. Today, Hartzell Propeller is approaching its 100th year of designing, certifying and manufacturing propellers in Piqua, Ohio, and we’ve earned a leading position in propeller-driven aviation. We employ 300 people in high-tech manufacturing and engineering jobs and ship our products around the globe. My brother and I own the company and have been partners for close to 25 years. Second, I also serve as COO of Tailwind Technologies, a holding company that my brother and I formed in 2004 to expand our aviation business. In addition to Hartzell Propeller, we own three other aviation manufacturing businesses and employ about 1,000 people in total. Joining Hartzell Propeller in our family of companies, Hartzell Aerospace is based in Valencia, California, and manufactures cabin environmental control products and sub-systems for business, military and commercial aircraft. Mayday Manufacturing is located in Denton, Texas, and produces specialty bushings for the entire aviation industry. Hartzell Engine Technologies is located in Montgomery, Alabama, and manufactures aircraft starters, alternators, turbochargers and fuel pumps for general aviation aircraft. In all of our companies, we sell globally but manufacture all of our products in the U.S. and buy all of our materials from U.S. producers. Third, aviation is much more than a business interest. I am a pilot and a member of EAA, AOPA and IMC Club. Hartzell Propeller is also a member company of the General Aviation Manufacturers Association (GAMA) and I currently serve as Vice-Chairman of their Board of Directors. I appreciate the opportunity to testify today regarding the competitiveness of the U.S. aviation sector and look forward to talking about some of the issues that affect small aviation manufacturers. Growing exports have helped sustain the general aviation industry since 2008. A decade ago, Hartzell Propeller’s total export sales were about 30%. Now our sales into foreign markets accounts for about 50% of revenue. • We manage a complex process to obtain validations from civilian aviation authorities around the world. These validations are required to install propellers in countries whose aviation rules require a review of our FAA Type Certificate. Since 2007, we’ve applied for and received 300 validations—150 of those in the last two years. If we don’t get these validations, our customers cannot sell the airplane into that market. We’ve been particularly busy supporting growth in Brazil, China, Europe, Russia, Ecuador and Mexico. • We employ two full-time native Chinese employees, one in Shanghai, China, and one in Piqua, Ohio. They are developing sales and product support depth in China and working directly with Chinese manufacturers and the Chinese Civil Aviation Authority to obtain product approvals. Since 2007, we have received 41 product approvals in China. • Annually, we provide a free week-long propeller training course to more than 150 propeller technicians from 19 countries. Imagine our small town of Piqua, Ohio playing host to a group of techs who are as diverse and interesting as the fans at the World Cup. • Our sales and engineering team traveled to more than 30 countries last year and we exported to all of them. There is no question from my perspective as a President of a small company that this activity is critical to our growth and critical to our community. Piqua, Ohio used to have many manufacturers. We were among six major employers back in 1990. Half are gone – literally killed by low-cost overseas competition. But in that same period, we grew domestically and internationally, continuing to provide the high-paying manufacturing jobs we’d like more of in this country, not less. • Our employees engage in weekly tutoring and mentoring sessions at our local middle school. Because our industry is innovative and committed to developing the best products for the global aviation market, Hartzell and other U.S. companies are longstanding market leaders. Our aircraft manufacturers in every segment, including Commercial, General Aviation, Rotorcraft, Agriculture, Military, and UAV, have leading sales volume and backlogs. U.S. engine manufacturers have leading positions as do our avionics companies. I am happy to say that the U.S. also is the market-leading manufacturer of general aviation propellers, specialty bushings, cabin environmental control products and piston-engine accessories. If you look at these companies, you’ll find that they are growing and they are growing globally. The success of our U.S. aviation industry has led to a multi-billion dollar supply chain of small- to medium-sized manufacturers. I cannot overstate the breadth and depth of U.S. manufacturers whose jobs and continuing investment depend on U.S. leadership in a robust global aviation market. This is probably my chief message today: Anything we do in policy making that hurts our industry’s time to market or entry into new markets will have exponential impact on the incredibly diverse employers making up the U.S. aviation supply chain. We are making the investments to keep jobs in this country. And the fact is, it is working. U.S. aviation jobs are among the best in our economy and industry sales are growing internationally. We can sustain the leading positions we’ve earned over decades of investment with enlightened policy making in Washington. While we do not access Export-Import Bank (EXIM) financing directly, many of our customers do. An important share of their growth into foreign markets, and by extension, Hartzell’s growth, has been facilitated by EXIM financing. But we aren’t getting a free ride. As I’ve described, our global growth requires action and investment. While we are making deep investment in foreign markets, the EXIM Bank has assured a level playing field for our customers as they compete for foreign aircraft orders. What isn’t working is uncertainty. My customers who use EXIM tell me they don’t know how to forecast beyond September 30th. And thus we both are struggling with hiring decisions. We both are struggling with pricing decisions because neither of us knows if we are going to have more or less purchasing leverage in our respective supply chains. We are struggling with capital investment decisions-should we buy equipment against our current plan or wait? Just today, I cut our capital investment project list by 50% for 2015 because I cannot risk anything but the most conservative investment decisions in this climate. This cautious posture is entirely due to the politics surrounding EXIM. Recently, some pundits and policy makers have described EXIM financing as corporate welfare and a hand out. When I hear comments like that, I find myself thinking about the hundreds of thousands of dollars we spend annually to make sales into foreign markets and all of the hiring we’ve done in the last five years. With respect, I don’t think anyone could fairly say that we are we are walking around with our hand out. My customers who use EXIM financing operate as we do. They run a tight ship, take capital risks, reinvest and pay their people well. I know there are many perspectives on this issue and so I appreciate the chance to share mine. EXIM is equally important in our other aviation businesses. Two of our Tailwind Technologies companies do significant business with U.S. business jet, commercial aircraft and rotorcraft manufacturers, each of which has steadily grown its export sales. EXIM credit facilities help them compete against other respected foreign manufacturers that have their own financing programs. Though these two businesses in our family of companies are deep down in the supply chain, they are an important part of the aviation sector with top-rate technology and about 500 employees between them. They invested in products and programs during the worst of the recession and today are healthy and growing. We typically spend millions of dollars developing technology for a new aircraft, often years before entry into service. We are willing to take all of that market risk even in the face of a deep recession. We’d prefer not to face the risk of uncertainty from Washington. If it continues, our largest customers will be suddenly hobbled as they compete in the global market. Another key priority from Hartzell Propeller’s perspective is our ability to deliver products to our customers in a timely and efficient manner. I look forward to working with Congress, the FAA and DOT, and other stakeholders as we approach the upcoming reauthorization of aviation policy. We have very deep contact with the FAA, especially at Hartzell Propeller. Our ticket to do business depends on the FAA’s approval of our design and production systems which manifests in the awarding of Type Certificates and Production Certificates for our new products. We respect the role the FAA plays and we respect the people we work with. 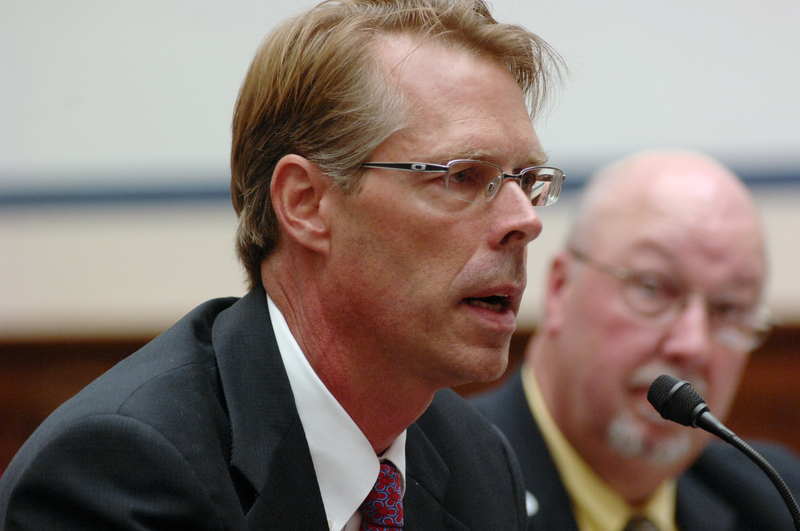 Several years ago, the FAA urged Hartzell to increase our delegation authority by going through the rigorous application process and becoming an ODA (Organization Designation Authorization). In that effort, we were trading one type of delegated authority for another, but the overhead and administrative burden of the new system for Hartzell was much higher. At that time, ODAs were thought to be essential to FAA streamlining and improving a manufacturer’s time to market. The idea was that the FAA would spend more of its constrained resources on oversight and audit of approved systems and less time trying to duplicate the enormous engineering depth of ODA companies. The benefit to companies was improved time to market and more opportunity to drive innovation. The net effect to our company after having an ODA for about seven years is neutral. We were generally happy with the certification support we got from the FAA before the ODA and we still are. The problem is that it costs more to run the system for the same results. 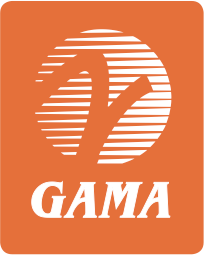 As a GAMA member, I am aware that many manufacturers who went through the same or more expense and effort to become an ODA do not see adequate benefits. In the course of your review of industry issues, I know you will hear this as a recurring theme. The really unfortunate thing about the state of ODA systems is that the more complex the design challenge a company faces, like building an airplane or a jet engine, the more risk and expense that company incurs to get a product to market. These companies also pay a higher cost for managing an ODA that spans the broadest certification requirements. The cost of inefficiency is enormous, not only to those companies certifying our industry’s most complex products, but to their suppliers as well. I would also argue that for this level of engineering specialty, the FAA shouldn’t even aim to bring engineering expertise to these certification tasks. After all, our company has built skills and depth over nearly 100 years of experience. But we do benefit from rigorous oversight and compliance auditing. That FAA role reinforces good habits. The ODA theory has always made sense; getting better products to market more effectively and with greater innovation is the piece that’s missing. ODAs are about a decade old and the companies that put them into place generally had various forms of delegation before the ODA system. Industry and the FAA know what we need to know to take fuller advantage of the system. Hartzell supports intense focus on ODA efficiency. To the extent that this Committee can help make ODA efficiencies a priority of FAA reauthorization, the industry will respond with growth and improved safety technology. More generally, I hope that this Committee brings special attention to the meaningful requirements contained in Section 312 of the FAA Modernization and Reform Act of 2012 (P.L. 112-95). The FAA has so much to do in the future—not just in certification but also in modernization and in pilot training that can improve safety. It is in the public interest to streamline FAA so more resources can go toward the activities that enhance safety and where, by the very nature of the work, the FAA is the principal actor and must depend on its own staff and expertise to do it. A related, and ever more critical, certification challenge that the Subcommittee might direct its attention to is the process by which foreign aviation authorities issue validations of FAA Type Certificates. Our export growth, and that of customers, has increased the demand for validations from other countries and turn times can be incredibly long. We find that getting a validation in time to meet an aircraft sale or fleet order is a white-knuckle experience. And it can be expensive. We often pay a fee and in some cases will spend tens of thousands of dollars satisfying that foreign authority’s review. To what end? In 300 cases of review, all FAA Type Certificates were validated. Over several years of monitoring, foreign authorities have taken on average 21 weeks to validate an FAA Type Certificate. In cases where we have a bi-lateral agreement, one country processes our validation requests in an average of 6 weeks while the other averages 40 weeks. They have the same basic agreement with the FAA but one takes almost seven times longer to do the same job. At 40 weeks, that is often longer than it took to develop and certify the product from scratch. I provide both these examples to illustrate that the regulatory process affects companies of all sizes and scope, and I look forward to working with you to create a more effective environment to get our work done. My business is aviation but I am also a committed and passionate pilot. Flying is a joy and a great source of inspiration. Every time I put the power in to start the take-off roll, I have the same brief flash of joy—do I really get to do this again today? I continue to marvel at the rewards in flying but it is also a challenge and mistakes can have serious consequences. Right now, there are amazing but realistic opportunities to improve pilot training and create the safest, most proficient pilots in our history and at lower costs than we’ve had in decades of training. The propellers my company makes today include decades of technology evolution. Aircraft designs, engine performance and avionics have similarly evolved in each generation of design. General aviation manufacturers have taken advantage of analytical design tools that use flight and performance data to achieve superior safety and performance. Similarly, we can have a breakthrough in general aviation safety if we use safety trend data and the flight data recorded by onboard equipment in new and innovative ways. Today, we have mechanisms in place that allow us to learn from trend and flight data in ways that weren’t possible just a decade ago. In partnership with the FAA and the operator community, general aviation manufacturers support the work of the General Aviation Joint Steering Committee (GAJSC). This partnership is focused on identifying and constructively mitigating safety concerns based on data-driven analysis. The GAJSC is also working diligently to establish ways to collect and analyze accident data that can be used to identify trends and improve safety. The GAJSC has also begun work to better use data that has been voluntarily provided by pilots about incidents and events to help prevent accidents before they occur. Over the past few years the GAJSC has provided input about how to better train pilots about stall awareness to mitigate loss-of-control, recommended the establishment of smarter policies for the installation of safety-enhancing equipment, and asked the FAA to provide more education about medications and how pilots can better address medical issues. As an example, through the data-driven approach of the GAJSC, it was determined that the installation of Angle of Attack (AoA) indicators could improve safety by increasing situational awareness and enabling the pilot to better control the aircraft during approach and landing. Since the recommendations from the GAJSC, several manufacturers have indicated interest in installing AoAs in their aircraft and multiple avionics manufacturers are producing equipment and the incorporation of AoA into their displays. In February, the FAA overcame existing regulatory hurdles and moved forward with a progressive AoA policy to facilitate more broadly the use of safety-enhancing equipment in the existing general aviation fleet. Congressional passage of the Small Airplane Revitalization Act helped create the environment for this progress. Another example is the recent aviation rulemaking advisory committee that helped to revise the airman testing standards to ensure that the standards used to test and train pilots more effectively gauge their ability to operate safely. This is the first comprehensive modernization of the policy and standards framework for general aviation and commercial pilot training in several decades and will assist in advancing training for all pilots. The FAA has responded positively to this update to the airman testing standards and accompanying knowledge test. The agency has also established a pilot program and implementation plan that will drive these changes into the aviation training community over the next 12-18 months. The first students begun training at a university in Florida earlier this month and the feedback is positive. AoA technology, the overhaul of FAA pilot training standards and the continuing work of the GAJSC are only the beginning of what I hope is a long and collaborative effort to address general aviation safety. As FAA Administrator Huerta has emphasized, we must leverage both public and private expertise appropriately if we are to best use scarce resources while continuing to advance aviation safety. As a final point, as a pilot who operates piston aircraft and as a supplier to a number of companies that manufacture products in the piston portion of general aviation, I am interested in the health and vitality of this segment. As such, I want to thank the leadership of this Committee and Subcommittee for their work on the Small Airplane Revitalization Act. I firmly believe when fully implemented, this legislation will benefit the piston marketplace tremendously. Another area where this Committee has, and I hope will continue, shown leadership is in the transition the piston fleet to unleaded fuels. As you know, the FAA, aided by industry and bipartisan support from Congress, has made enormous strides to meet this objective. By way of background, today the piston fleet operates on leaded fuel commonly referred to as AvGas. Importantly, however, manufacturers, operators and government have been working diligently to transition to a fuel that is not lead-based. In fact, earlier this month a number of stakeholders submitted applications to the Piston Aviation Fuels Initiative, which is the entity that is facilitating the research, testing and ultimately suggesting approval for a replacement fuel in coordination with the FAA. This leading-edge work is being done at the William J. Hughes Technical Center. I cannot thank this Committee and its members enough for their support of this program. It means a great deal to the hundreds of thousands of pilots and the manufacturers, maintenance and training facilities that support them. At the same time, I want to impress upon you that it is vital to ensure that this important initiative reaches the desired conclusion – a fuel that will work for the vast majority of the current piston fleet that is certified by the FAA before it is brought to the marketplace. Much work remains between where we are today and what lies ahead, but I appreciate the strong support from Congress thus far. We will need your continued support during the next FAA reauthorization bill. Chairman LoBiondo and Ranking Member Larsen: thank you for the opportunity to talk about the aviation industry from a small company perspective. I value the opportunity as a pilot, user of the system, and as a manufacturer that does all of its work in a federally regulated system. I would be glad to answer any questions that you may have.